I wondered if I should address to what happened in Paris in any way. I have not changed my profile picture into French colours. I have not posted the Tower peace symbol on Instagram. That kind of things are just not what I do. Still, I felt bad thinking I wouldn’t talk about it at all. I’ve gone over it with my family, friends, Ben. For a while now I have been trying to avoid the news because the increasing death count disheartens me. I met someone on my travels last summer who was on that football stadium. The bombs only went off outside of the stadium, but it was still scary to think that someone I know could’ve fallen victim to them. And I’m talking about someone who I knew for about two days and never even got to know well. I can’t even imagine how devastated are those whose loved ones were the victims of the attacks. As a lot of people have pointed out, bombings in Beirut killed tens of people just two days before Paris attacks. There has been a call to not only pray for Paris, but pray for humanity. Beirut, however, is far and on the war zone, and we have silently come to accept that these kind of things happen there. Of course we wish they would end, but most of us have no family or friends in that area. We are sad for the atrocities happening there, but they do not touch us. 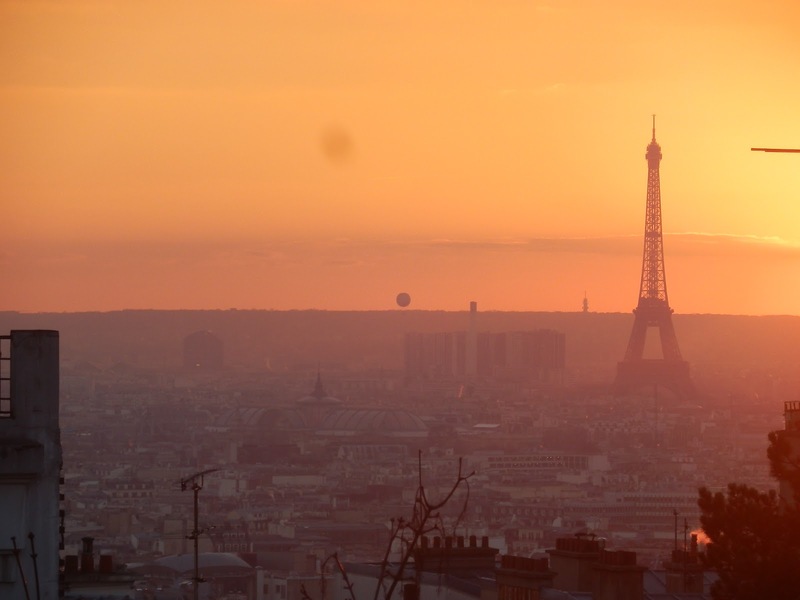 Paris, however… Paris is one of the most popular tourist cities in Europe. It is the city of romantics and intellectuals – an European symbol. We look at the devastation in Paris and think that we could’ve been there at the time. I visited Paris less than a week before the Charlie Hedbo shooting in January, and even if I had been there it would’ve been unlikely I would have ended up in the line of fire, but it still made me scared. The vastness of this new attack left me, as it did the whole world, in utter shock. But someone will die tomorrow, too, and the day after. One day this terrorist organisation will stop, and one will step up to replace it. We can only hope that we can rid ourselves of terrorism one day, but even if we do, some other sort of evil will soon replace it. And still, somehow, life will go on. The only thing we can do is not be afraid, because that is what they want us to be. What we can do is stay optimistic that the world is still, in most parts, a good place. We can return to Paris to enjoy the city’s beauty. We can, where we are able to, try to make this world a better place. We can stop the fear from becoming hate. My thoughts go out to everyone who lost their lives in Paris or is still fighting for it, and to those that had to flee the scenes of the crimes in terror, and to those that lost someone they loved.